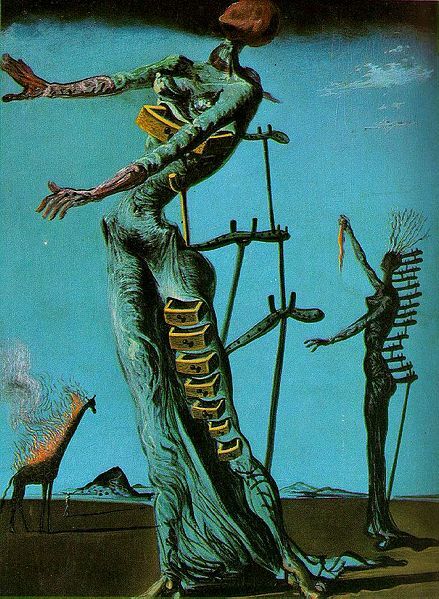 Salvador Domingo Felipe Jacinto Dalí i Domènech, Marquis of Dalí de Púbol (Salvador Dali) was born on May 11, 1904 in Figueres, Spain near the French border. 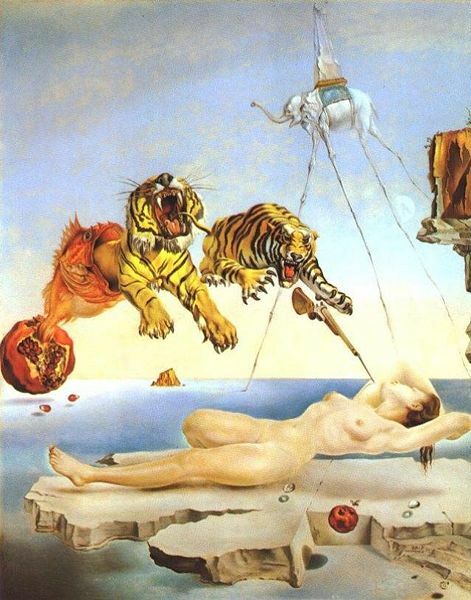 A painter, draughtsman, illustrator, sculptor, writer and film maker, Dali was one of the most prolific, flamboyant, and well-known artists of the 20th century. 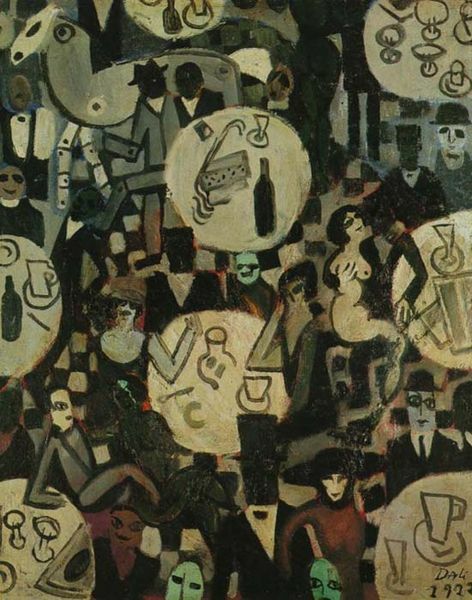 He was a student at the San Fernando Academy of Fine Arts in Madrid but was expelled for encouraging students to rebel and for withdrawing from an exam because he said the teachers were not qualified to judge his work. 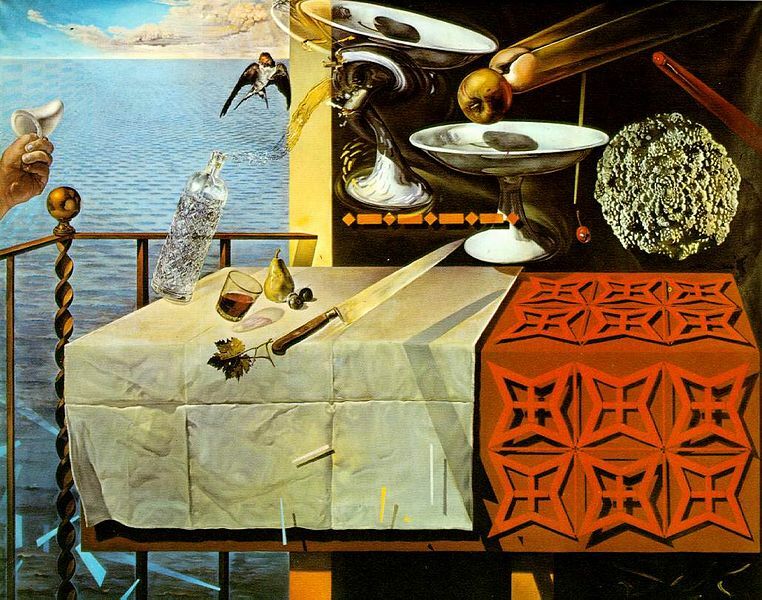 Dali gained recognition relatively quickly after just three shows: a solo show in Barcelona in 1925, a showing of his works at the Carnegie International Exhibition in Pittsburgh in 1928, and in 1929, his first solo show in Paris. 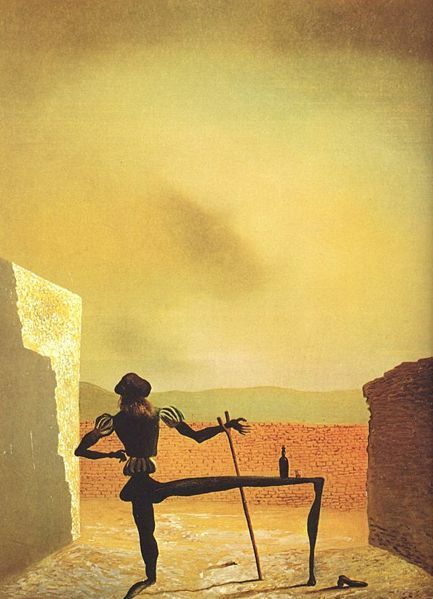 It was at this time that Dali joined the ranks of the surrealists and met his future wife, Gala Eluard. 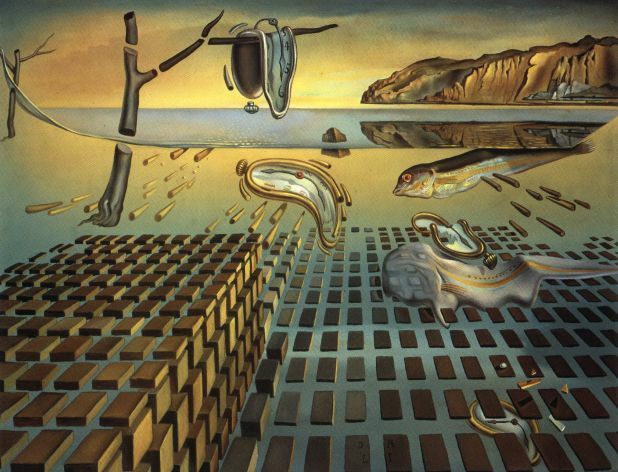 “The Persistence of Memory” was painted in 1931 after seeing some Camembert cheese melting in the heat on a hot summer day. 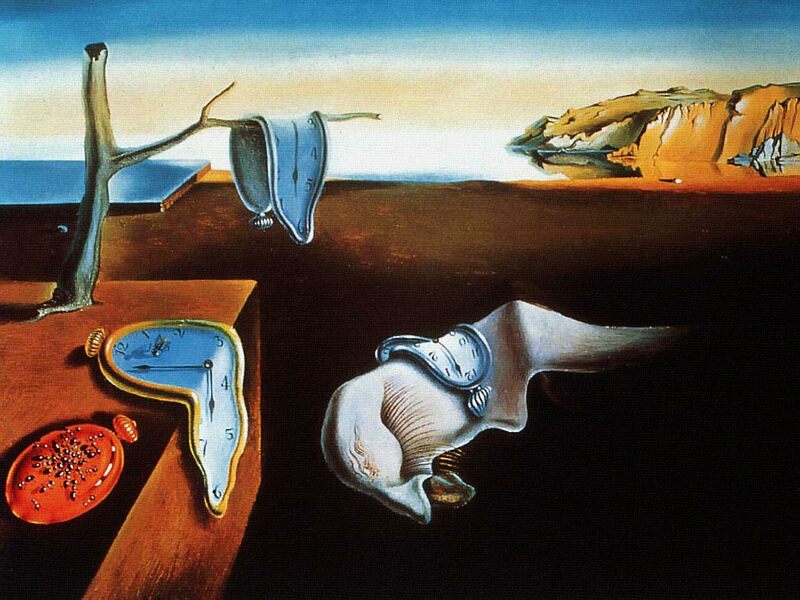 Later that night, he dreamt of clocks melting on a landscape. 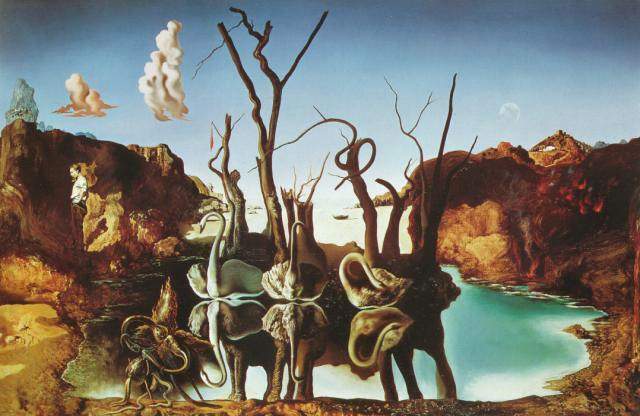 The small work (24 cm x 33 cm) is one of the most famous of the surrealist paintings. 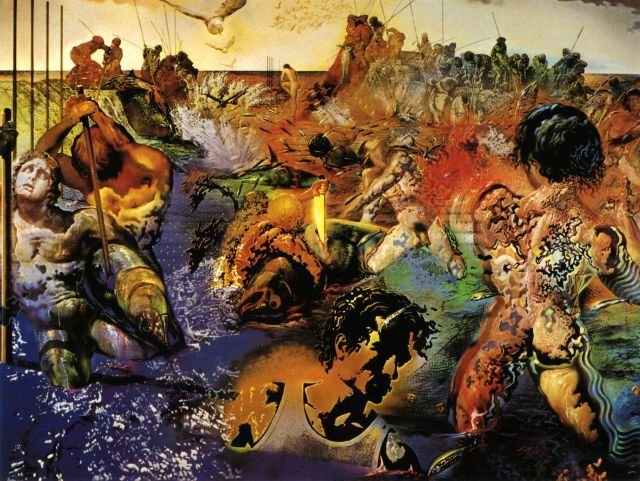 During this time, and inspired by Sigmund Freud, Dali used his “paranoiac-critical method” to create his art. 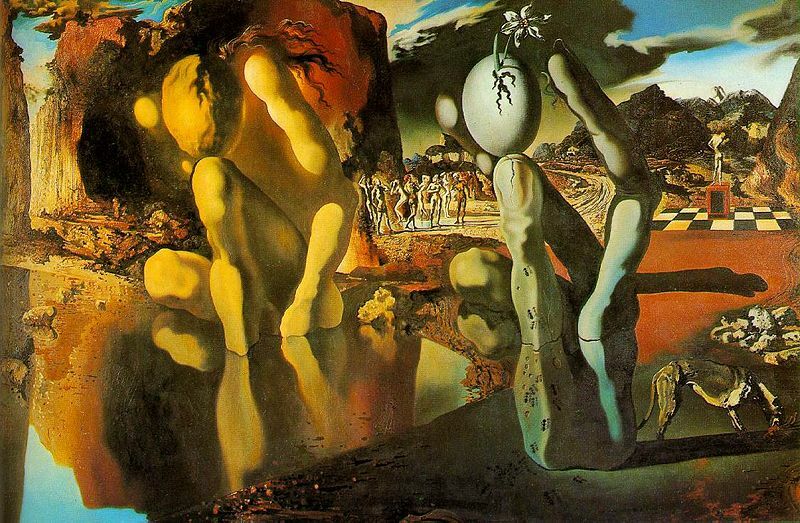 During the 1930s Dalí’s political indifference alienated him from the other Surrealists who were mainly leftist. 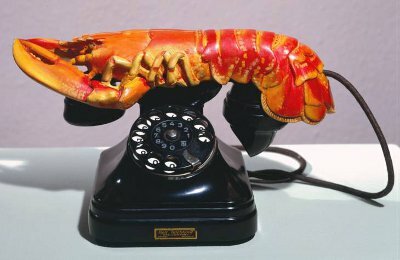 In 1937, he painted an unusual series of Adolf Hitler that were considered to be in bad taste and partly led to his expulsion from the movement. 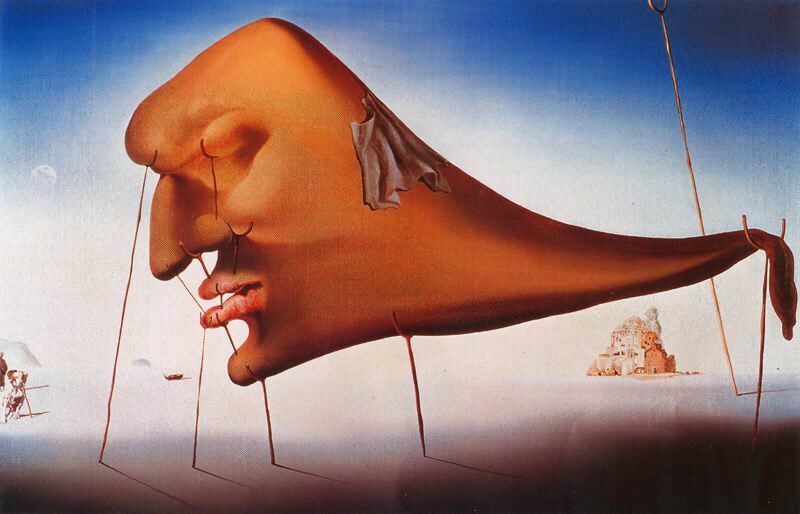 Salvador and Gala spent World War II in the United States, where he became a popular figure. 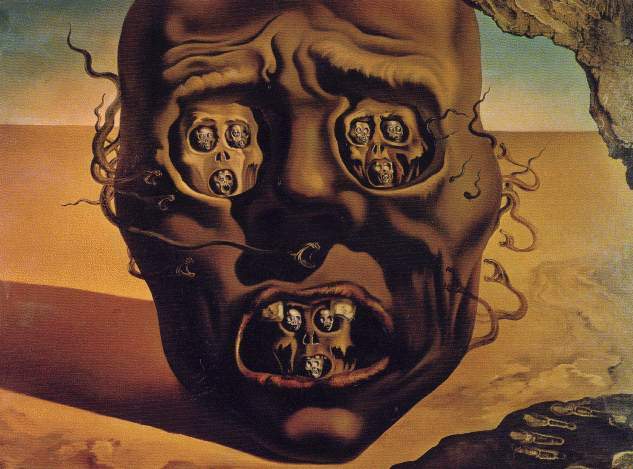 He painted portraits, dressed shop windows, created a dream sequence for Alfred Hitchcock’s film “Spellbound” and created a cartoon, “Destino”, with Walt Disney. 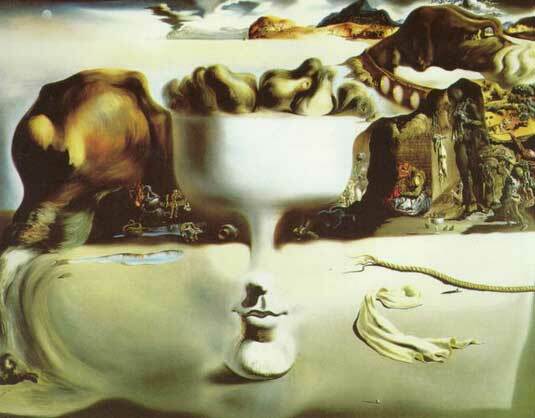 Dalí returned to Europe in 1948 and was completely disconnected from Surrealism. 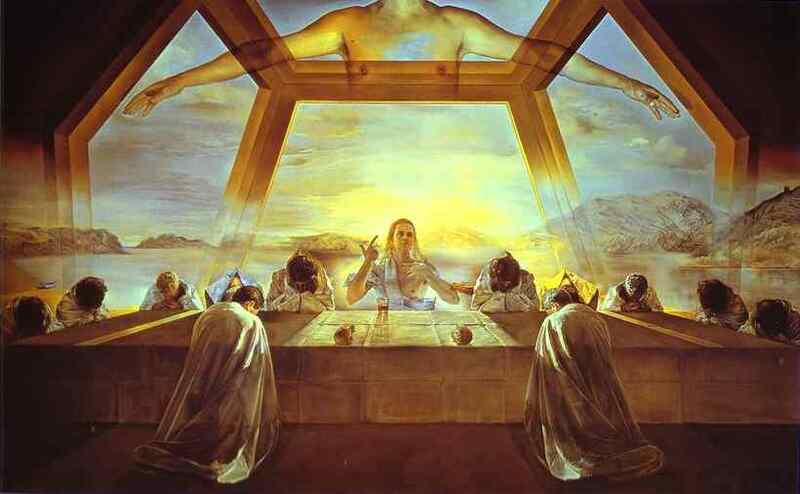 He painted mainly in Spain, with an eclectic approach focusing on history, religion, and science. 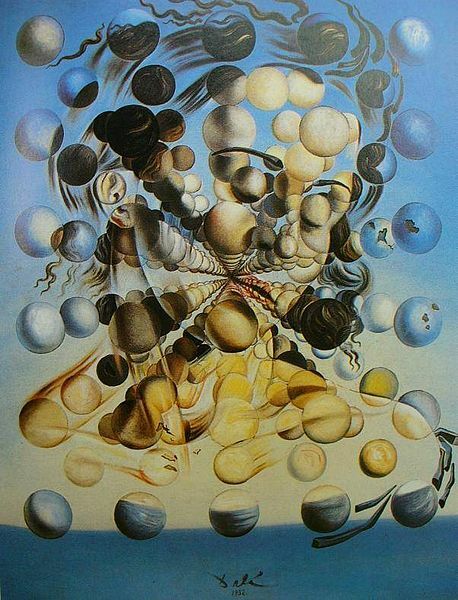 Dalí created over 1,500 paintings in his career as well as illustrations for books, lithographs, designs for theatre sets and costumes, numerous drawings, sculptures, and various other projects. 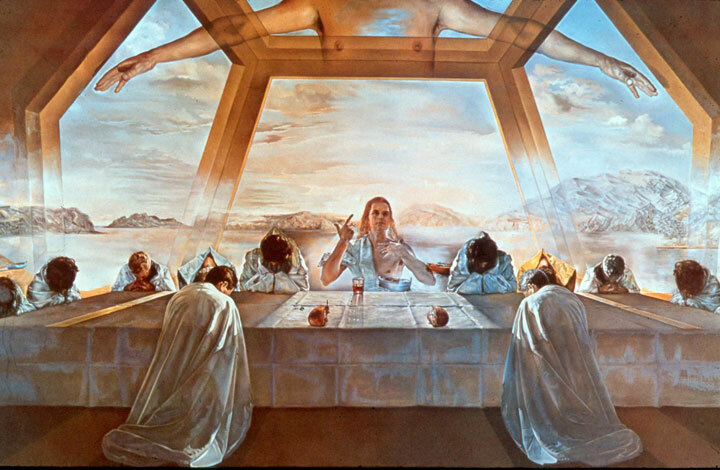 Dali was greatly affected by the death of his wife Gala in 1982. 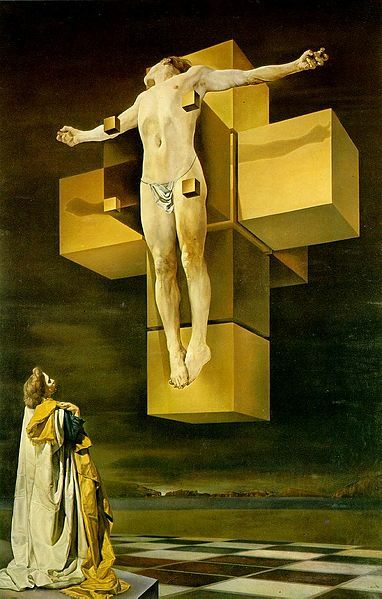 After that time, he lost much of his passion for life. 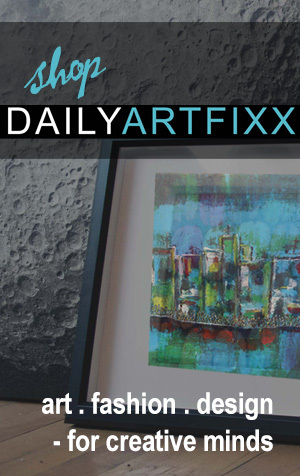 His health began to fail, and he painted very little. 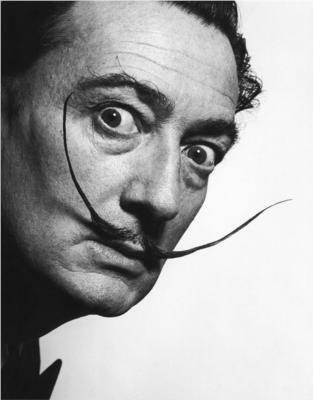 On January 23, 1989, at the age of 84, Salvador Dali died from heart failure with respiratory complications. 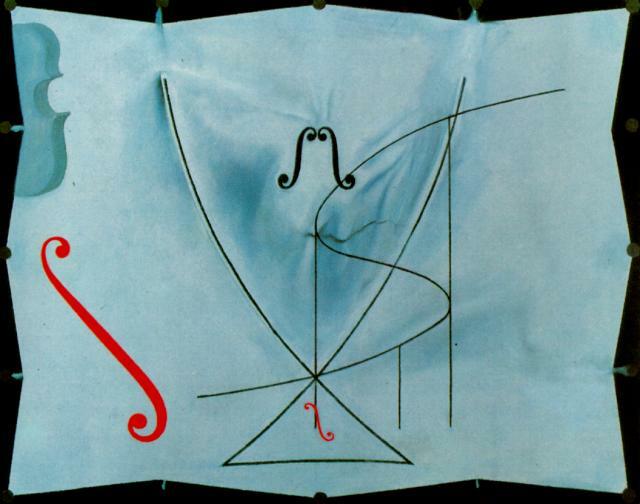 He is buried in his Theater Museum in Figueres. 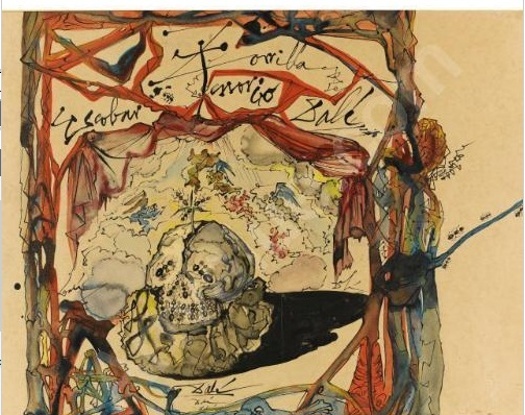 For a full biography of Salvador Dali, see the source links below.